Phelps Field Park	Phelps Park is a place for everyone to play or watch a variety of outdoor sports, or relax and enjoy nature. Ice rinks are closed for the season. Master Plan: After two years of extensive community engagement, the Phelps Field Park Master Plan was approved in 2016 as part of the South Service Area Master Plan. The Phelps Field Master Plan will guide outdoor park improvements at Phelps Field for the next 20-30 years. Click the link below to view the master plan. Name: The park was named for park commissioner Edmund J. Phelps in 1939. 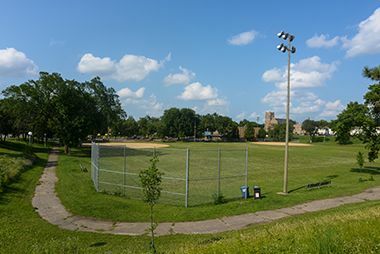 Prior to its official naming, the park was called Chicago Avenue Field. Phelps was a park commissioner from 1905 until he died in 1923, which made him the longest serving park commissioner in history at the time, surpassing William Folwell by several months. He was president of the park board in 1912 and 1913. 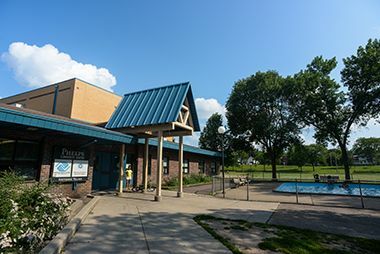 Phelps is remembered in Minneapolis parks not only for Phelps Field, but for Phelps Fountain, also known as the “turtle” fountain, that is now in Lyndale Park near the Rose Garden. The fountain was donated by Phelps to be the centerpiece of The Gateway near the Hennepin Avenue bridge downtown in 1915. The fountain was moved to Lyndale Park in 1964 when the original Gateway was relocated. Phelps had been one of the strongest proponents of building The Gateway. He was also an avid horseman and, especially while president of the park board, promoted converting the park board’s bicycle paths to bridle trails. When the bicycle craze of the 1890s ended, the bicycle paths around the lakes were little-used. Phelps was a park commissioner during a time of rapid expansion of the park system and the beginning of the shift in emphasis on parks from tranquil open spaces to places for more active and athletic use. Phelps was a strong supporter of park expansion and once, in defense of The Gateway acquisition, he said that “the park board has never acquired a park without opposition, whether from those who did not believe in parks, or those whose private interests were interfered with.” In that context his comments in the 1913 annual report at the end of his tenure as president of the board are noteworthy. Commenting on the work of the committee that recommended new parks, he wrote, “With the acquisition of the small parcels recommended by Mr. Wirth, there seems to be little left for the Designation Committee to do in the future except to reflect upon its busy and useful record and occasionally respond to a call for a neighborhood triangle.” At the time the park board owned about half of the properties and sixty percent of the park acreage it owns today. The park was designated for purchase November 1, 1916 and bonds in the amount of $24,700 were issued to buy the land on April 4, 1917. 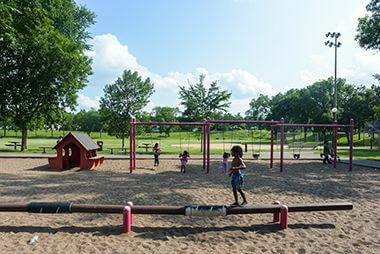 The purchase concluded a year of activism by residents in the vicinity of the park to have a playground. When residents first asked for a park at Chicago and 39th in the summer of 1916 they were told to present a petition from property owners offering to pay assessments on their property to pay for the park. A group of residents returned in November with not only an agreement to pay assessments, but with an offer not to ask the park board to maintain or improve the park for five years. They volunteered to make improvements in the interim at their own expense under the supervision of the park superintendent. With that promise, the park board immediately designated the land for acquisition and had the land surveyed. With the purchase and an assessment schedule completed in 1917, and Columbus Avenue through the park vacated, park superintendent Theodore Wirth included in his 1917 annual report a grand and detailed plan for developing the park and building a field house in what he called a “rapidly growing section of the city.” The plan was to develop the space primarily for athletic use, on three levels or terraces, but it still included significant landscaped space for walks and trees, or “attractive park effects” as Wirth called them, as was still the custom at the time. Wirth even had a scale model created of his plan. Finally in 1922, after a petition for toilets at the park had been denied for lack of funds, Wirth presented a modified plan for the park that met requests of the neighborhood to develop the park at a cost of $75,000 to $80,000. Wirth wrote in his report then that he regretted that the high cost of his earlier plan, costs which he attributed to the topography of the land, made it prohibitive. (All four corners of the park were at different grades.) He said the new arrangement offered nearly the same athletic facilities as his original plan, but “from a park perspective, was not as attractive as the first proposed layout.” Also missing was the “social center.” Instead of the field house, he wrote, “an ordinary shelter is substituted.” (Former park commissioner and architect Harry W. Jones was hired to create a design for the building.) The cost of Wirth’s new plan was $90,100. It was approved by the park board in January 1923, and the cost was assessed 100% against property in the vicinity of the park. Phelps was not the only park to be developed to scaled-back plans. In the 1917 annual report, Wirth presented an elaborate plan for Folwell Park along with his plan for Phelps. He proposed not only a field house for Folwell, but a grandstand for watching baseball and football games. Just as with Phelps, Wirth presented much-reduced plans for Folwell, Nicollet (King) and Linden Hills parks in the 1922 report. 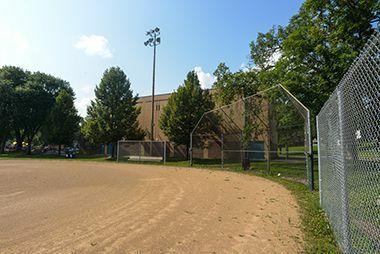 All developments at Phelps Field, as at every other park in the city at the time, were to be paid for by property assessments, and property owners would only approve the most basic and least expensive plans. The improvements to Phelps Field Park were 85% completed, by Wirth’s assessment, by the end of 1924, including the construction of a shelter. The contract for the shelter was awarded in October of that year and construction was completed in time for it to serve as a warming house for skaters that winter. A small remaining balance in the fund from assessments for the park was used in 1934 to construct a concrete wading pool and cement walks around it. The next time the park board spent funds, this time city bond funds, to improve Phelps Field Park was in 1964, when the areas around the wading pool were refinished. In 1969, at the beginning of an ambitious building program to update or replace park buildings, a new recreation center was built at Phelps. Once again the original plans for the recreation building at the park were scaled back, but this time for different reasons. In 1968 the park board had ended the policy of assessing property owners for park improvements, but that created new problems. With improvements at all parks being paid for by city bonds, the park board had to balance demands from around the city for those funds. 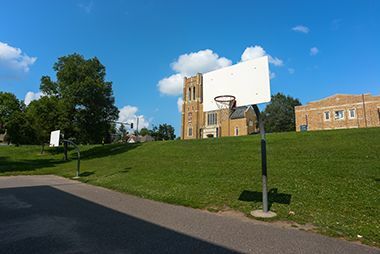 In this instance, the board approved more expensive plans for larger recreation centers at Sibley and Nicollet (King) parks, east and west respectively from Phelps Field in south Minneapolis, which required a cutback in the amount that could be spent at Phelps. 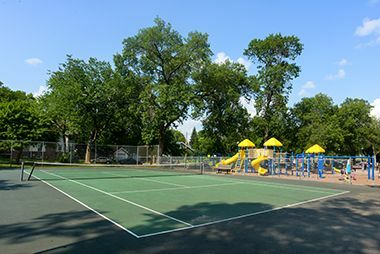 Those reductions were made up a generation later when the park board added a gym to the building at Phelps and renovated the park in 1993-1994. The funds for the project came from many sources and led to a new operating agreement with the Boys and Girls Club. 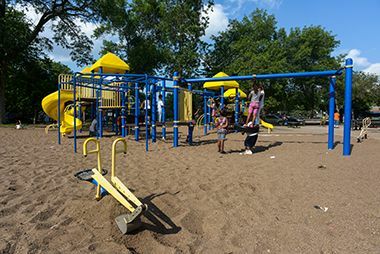 The McKnight Foundation and Minneapolis Foundation were major contributors to the project and surrounding neighborhoods contributed $750,000 in Neighborhood Revitalization Program funds. A half-million dollars of city bonds also helped finance the improvements. The Boys and Girls Club also contributed to the cost as a part of their agreement with the park board to operate programs from the new facility. In 2010 two baseball fields were upgraded thanks to funding, expertise and volunteer labor from the Minnesota Twins Community Fund and The Toro Company. In 2000, further improvements were made to the park and the center. Phelps Recreation Center offers programming year-round. 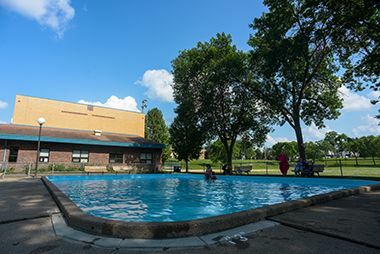 Cool off in the summer at the Phelps Wading Pool. See our other wading pool locations. 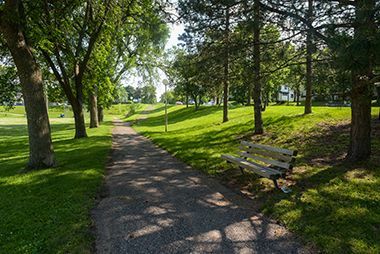 Enjoy a shady stroll along Phelps Field Park's paved walking trails.